All our latest information and rumours about new Canon printer related items. Where we have more informatiom about a specific printer model, it will go on that printer’s information and review pages as well. 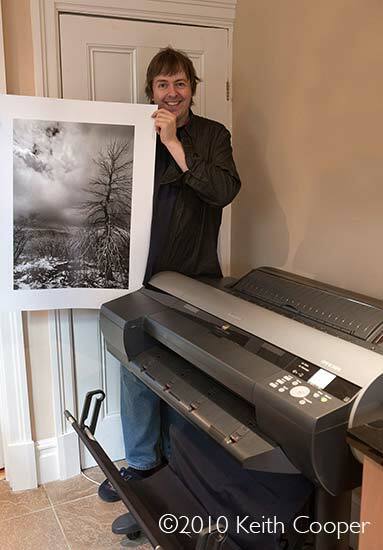 Keith has written detailed reviews covering many of these printers, such as the iPF6300 (right) the Pixma PRO range and Pixma 9500 mk2 (below). Canon have had significant variations in launch and availability dates around the world, and have carried on selling superceded models. Links are to detailed reviews of the printers (for 44" reviews see the 24" versions). 30th Canon’s latest financial reports (see main Canon info page) show a decline in the camera side of the business, but a relatively flat performance from print (all areas). Whilst information for camera systems is quite specific, the notes for inkjet printing seem somewhat anodyne. In 2018, despite growth in emerging markets from the expansion of refillable ink tank models, the overall market was slightly down due to continued print volume decline in developed economies. In 2019, we expect the trend to be the same. In 2018, although our unit sales declined overall, we posted significant growth for refillable ink tank models in emerging markets thanks to new products that were launched at the beginning of the year. As for 2019, we aim to grow faster than the market, stepping up already active investment into sales in emerging markets in such areas as further strengthening our sales support activity with mass merchandisers and authorized shops. Additionally, at the end of 2018, we launched our first inkjet-based MFDs targeting the business market, where we expect even more demand for consumables. The new products not only operate at high speeds of 50 sheets per minute, but also require close to no maintenance, contributing to significant reduction in overall costs for users. We aim to tap new users, targeting medium- to small- size businesses that prioritize high-speed, low-cost high-volume printing. 23rd In the UK I’ve heard of someone trying to get a Canon PRO-1 fixed, and being told there were none of the required parts available. So, is this a sign of an impending replacement? I’ve just created a basic Canon printer timeline (Above -with review links) that shows just how old the PRO-1 is. I suspect we won’t get to see any update soon, but there are plenty of trade shows for announcements coming up. 20th Last week I spent some time at Canon UK’s Birmingham showroom testing the TX-3000 for a review. 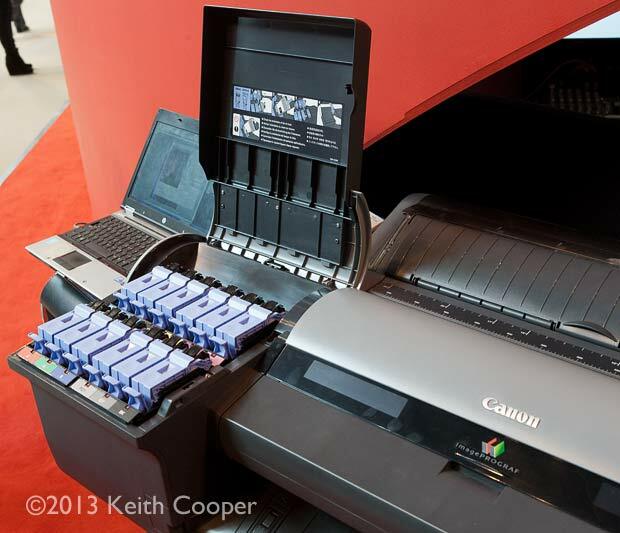 17th Canon have announced several printers aimed at the CAD/GIS/Poster market. The TX-2000 and TX-4000 (24″ and 44″) are CMYK pigment ink printers (5 colour MBK/BK/C/M/Y). The Pro-100 is being offered really cheaply in the US again. but that’s been regularly discounted for a while. The PRO-1 and PRO-10 are getting on a bit, so perhaps one will get a revamp before the January shows? The PRO-1 could do with a bit of a redesign to its paper feed to eliminate the problem of large margins for fine art media (this was only partly addressed in a 2014 firmware update). [Ver.4.60]- Failure in colour correcting function was modified. [Ver.4.50]- macOS Sierra (v10.12) has been added as a supported OS. [Ver.4.40]- OS X El Capitan (v10.11) has been added as a supported OS. 8/6300 info/drivers/plugin are similarly updated. 21st I’ve written up notes about preparing the PRO-2000 for shipping, and potential ink use for the process if the printer needs tipping. 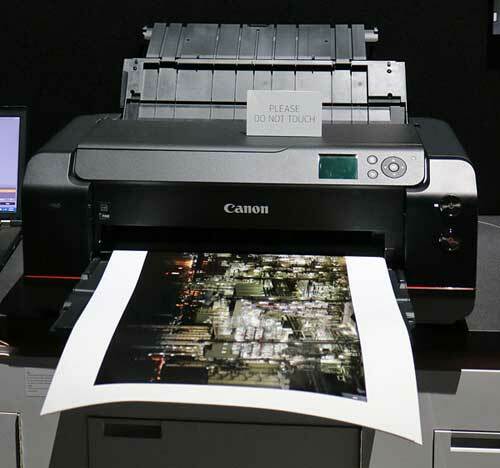 17th I’ve a short note from Canon that answers a query I had about when the new large printers such as the PRO-2000 [Review] agitate their ink tanks. My old iPF8300 wakes up every so often to do this. In order to make the best of the performance of new LUCIA-PRO inks, the agitation of ink tank of PRO-Series has been improved compared to the previous imagePROGRAF series (iPF6400/iPF8400). As a result, PRO-Series can agitate the ink tank more effectively in a shorter period, and less frequency than before. For the previous models, the agitation was required every so often even in sleep mode. On the other hand, PRO-Series has introduced the effective agitation technology, that enables “background agitation” during printing, or printer’s operation, so it requires far less agitation in the sleep mode than that of previous model. Even if the printer remains OFF for several months, there would be no issues on quality of the printer. In this case, when it turns ON, an automatic agitation might take place during start-up, depending on the status of the printer. However, the time needed for the agitation can be less than previous models thanks to the improvement of the agitation method introduced into PRO-Series. All the above are not officially announced by Canon, and they are not guaranteed under all customer environments. However, we believe that we have improved many technologies which have been introduced into PRO-Series, and the accumulation of these enables our new printers to be more stable & reliable suitable for professional customers. The new agitation technology is one of them. 1.Remote maintenance control is modified for security enhancement. 3.Network setting disable with Remote UI in French and Italian is modified. 4.The rare error that occurs at turning around in the unidirectional printing. 1. Correction of the failure that occurs in direct printing in rare cases. 2. Correction of panel message that is displayed at paper feeding. 3. Correction of error lighting after installation in rare cases. 4. Correction of warning lighting error in printing in rare cases. 5. Correction of time difference in automatic registration adjustment by paper size. 6. Correction of inappropriate detection of remaining ink level at the start of the printing. 7. The control of waste ink has been improved. 20th If you use some Canon software (especially printer drivers) and Macs, think carfully about updating to MacOS 10.12 (Sierra) for the time being. – Some small failures are modified. 7th Keith’s lengthy Canon PRO-2000 printer review is published. 10th A page length increase is included with the latest PRO-1000 firmware. I don’t have the PRO-1000 here any more so have not verified the detail. 24th We’ve a PRO-2000 here – any questions, please ask? 15th We’ve a rather long review of the Canon PRO-1000 printer, and will in a few weeks have a PRO-2000 here to look at. “These imagePROGRAF PRO models are expected to be available in late spring of 2016. The imagePROGRAF PRO-4000 is available for an MSRP of $5,995 or $6,995 with the addition of the optional Multifunction Roll System. The imagePROGRAF PRO-2000 is available for an MSRP of $2,995, or $3,795 with the optional Multifunction Roll System. The imagePROGRAF PRO-6000S comes standard with the Multifunction Roll System at a Manufacturer’s Suggested Retail Price (MSRP) of $9,995. The imagePROGRAF PRO-4000S is available for an MSRP of $4,995, or $5,995 with the optional Multifunction Roll System. 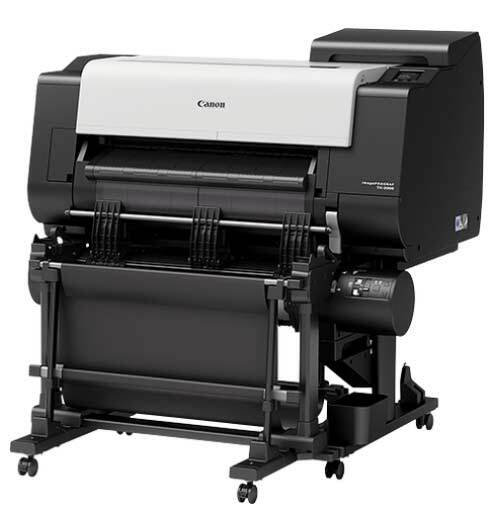 4th Canon announce a new range of large format printers. The 24″ PRO-2000 and 44″ PRO-4000 [full details] replace the iPF x400 range. 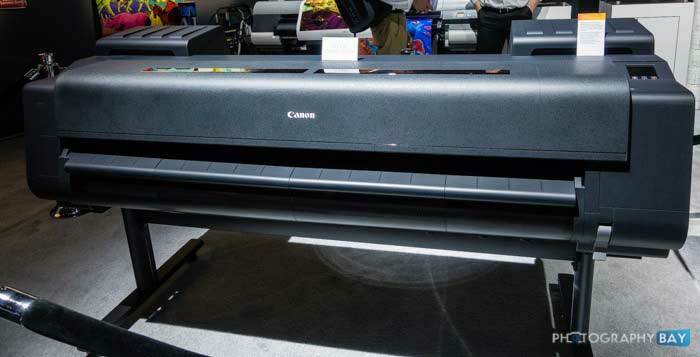 3rd Could we see Canon’s range of new large format printers announced next week? Canon has a history of poor coordination of releases around the world, so they could pop up anywhere. I’m told that once again the iPF5100 is not yet for any makeover. 19th I’m told (thanks) that any possible iPF5100 replacement is ‘a long way off’ and definitely not a 2016 product to appear with any other updates. 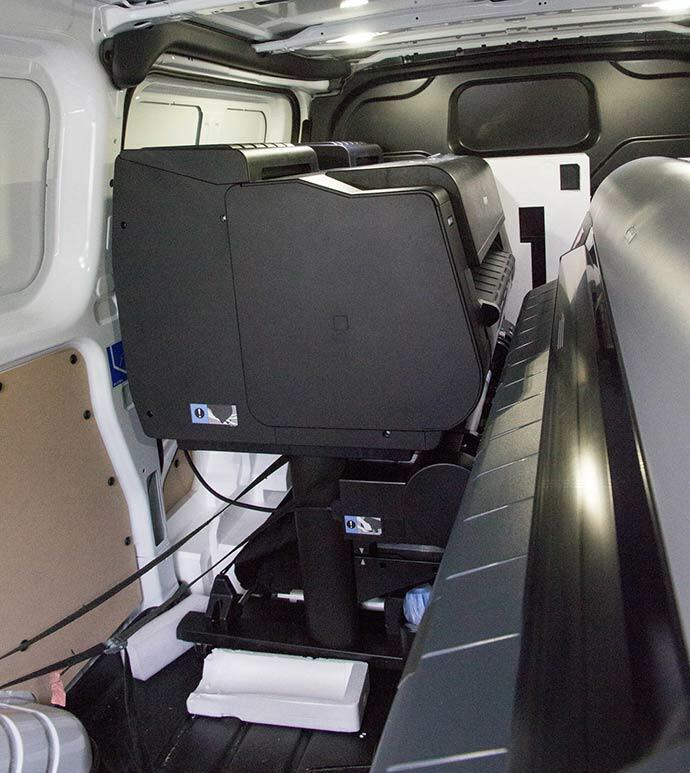 It looks that if you want an updated iPF printer with roll paper then it’s 24″ or bigger. The 5100 has missed several other updates to the large format range, so this doesn’t surprise me. 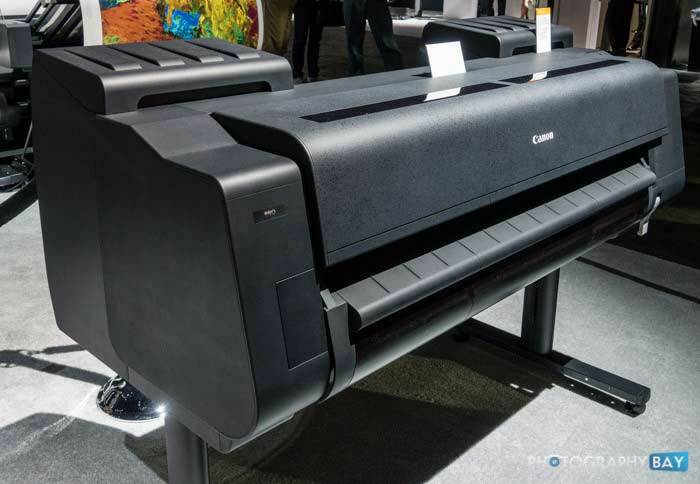 9th In some comments received, primarily about a ‘pro’ EOS-M (mirrorless) camera, it’s mentioned that photokina next year will see a full range of new large format printers (see below) that will finally include an update for the 17″ iPF5100. This is not the same as the recently announced Pro-1000, but a true 17″ roll paper large format printer. Full information on our Canon Pro1000 information page. 14th Still no signs of the new printers, but a series of photos of the whole range appears – taken at the recent expo. See larger photos and description at PhotographBay. 3rd Some possible printer news? There’s talk [CR] of updates for the Pixma line being announced in October, including something in the PIXMA range at 17″ (the only Canon 17″ printer is the iPF5100, and that’s getting on a bit). I note too that the Canon iPFx400 range is again seeing appreciable discounting, perhaps a sign of something from Canon to go up against the larger SureColor printers we’re likely to see from Epson, but I’d not expect to see the follow on to the iPFx400 range shipping until well into next year. 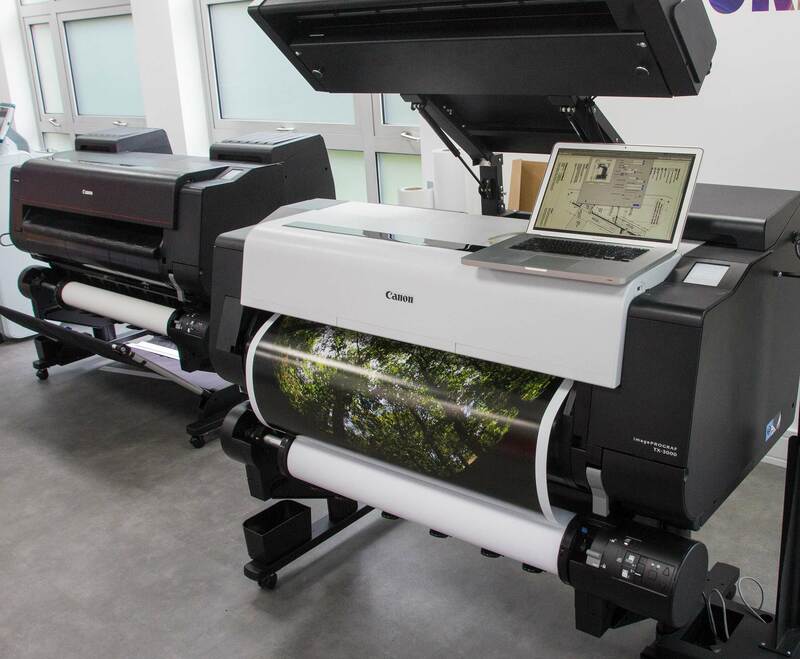 A UK large format dealer is offering trade-in deals for x400 printers up until December 31st, suggesting no new large format printer announcements this year. I’m hoping that any follow up to the [Oct 2011] PRO-1 improves issues with margins on fine art papers and the rather small maximum page length. 18th No signs of any large format printers, although the PRO range of desktop printers have been selling with hefty discounts in the US. 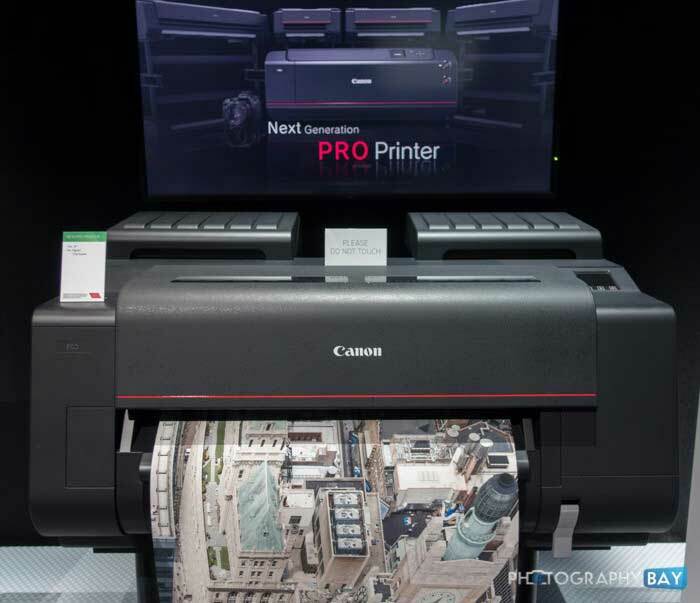 Sydney, Australia, 4 February 2015 – The new PIXMA PRO-100S and PIXMA PRO-10S replace Canon’s existing PRO-100 and PRO-10 printers retrospectively and deliver a whole host of connectivity options to allow you to easily print and bring your creations to life in stunning detail. Ideal for professional photographers, the new PIXMA PRO’s are not only equipped with enhanced solutions and abilities but also offers high image quality printing for the professional photographer. The PIXMA PRO-100S uses 8 dye-based inks to produce vibrant, high quality prints up to A3+ in size at fast speeds. The PIXMA PRO-10S meanwhile, features a pigment ink system using 10 individual colour inks, complete with Chroma Optimiser, for stunning quality prints with high black density and increased longevity. 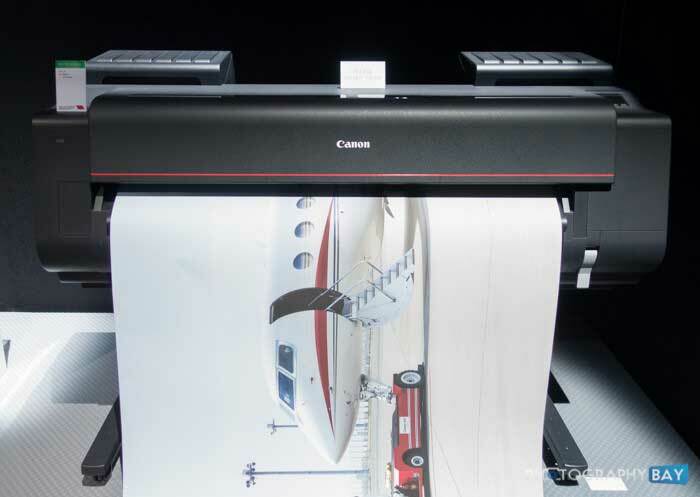 Canon’s latest PIXMA PRO printers also allow you to connect and print with ease. Whether you need to print from cloud storage services such as DropBox, Flickr, Facebook, Google Drive and One Drive, direct from Canon’s PIXMA Cloud Link, or set up to print via Wi-Fi, Ethernet, PictBridge or via mobiles or tablets, the choice is yours. PIXMA PRO-100S and PIXMA PRO-10S are also compatible with Canon’s new Pro Gallery Print app, which allows you to connect to cloud photo and video hosting services Zenfolio and SmugMug from your tablet, so that you can print your work in exceptional quality and ensure they are showcased in all their magnitude. The PIXMA PRO-100s and PIXMA PRO-10s are available nationwide now. 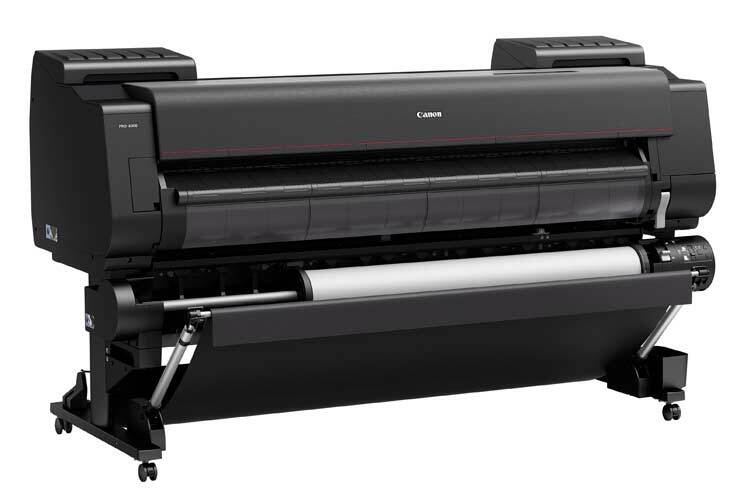 “MELVILLE, N.Y., January 22, 2015 – Canon U.S.A., Inc., a leader in digital imaging solutions, announced three new affordable large format printers and a newly enhanced Canon Alliance Partner Program (CAPP). The 24-inch imagePROGRAF iPF670, the 36-inch imagePROGRAF iPF770 printers, and the imagePROGRAF iPF770 MFP M40 Scan-to Print/File/Share System provides cost-effective solutions for low-volume, on-demand print environments. These models support a variety of applications including: posters, presentations, technical documents, drawings, company announcements, and enlargements. Note that these use the older PF-04 print head, rather than the PF-05 used in the iPF8300 we have here. I’m hoping that the follow-up to the current iPFx400 printers may see a new head design and a bit more change than we saw in the x300 to x400 model release cycle (both excellent printers, but the x400 was nowhere near enough of an advance for us to replace our 8300. Also suggested is a 17″ printer in the PRO line, something that would replace the rather old iPF5100 – a solidly built 17″ printer that obviously wasn’t firmly enough in the marketing objectives for the Canon large format print division to make a 5200/5300/5400 – maybe a 5500? Note that these are the same as announced in Europe in April. The seven new models comprise two 5-colour, 610mm (24”) devices – the imagePROGRAF iPF680/iPF685 – and two 5-colour, 914mm (36”) devices – the imagePROGRAF iPF780/iPF785 – together with two new MFP solutions, the imagePROGRAF iPF780 MFP and iPF785 MFP. Do check the Ts&Cs, I believe it only runs to the end of the month. 26th I hear that if you visit the Canon Stand at ‘The Photography Show’ there will be a prize draw for a brand new iPF6400 24″ width printer, but you need to find the large format print people, not the camera guys. 20th Replacements already for the PRO-1, 10 and 100? A suggestion at [CR] that they are soon for replacement. Perhaps Canon will fix the paper handling and margin issues that would be a deal-breaker for me, with any of these otherwise excellent printers. The PRO-1 was announced in October 2011, PRO-10 in Sept 2012. I note comments of the Pixma-PRO printers being on a 3 year refresh, so I’d have thought that the replacement for just the PRO-1 might be for Photokina? Could it finally be time for Canon to bring out something new at 17″ wide? …or has the nifty iPF5100 [review] once again fallen through the cracks between the imaging and large format print divisions of Canon? 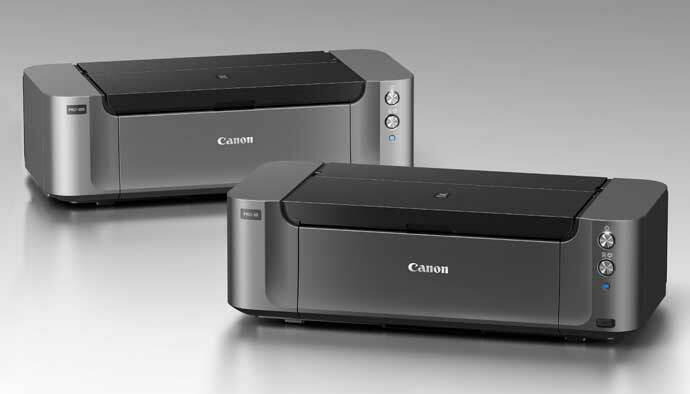 21st Canon announce a range of office/home pixma printers. 28th Changing the maintenance cart on our iPF8300 gives an opportunity to assess ink usage for cleaning and setup for the printer. Do note theses are figures for a relatively lightly used printer. 6th Our 6450 turns up in kit form – I’ve written a short guide to setting up the 6400/6450, if you get one delivered this way. 1st We should have an iPF6450 here very soon for a review. 19th We have a PRO-10 printer for review – if anyone has any questions, please mail me directly? 15th We should have a Canon PRO-10 here before long for a review. Having reviewed the old 9500 II and more recently the PRO-1, I’m curious to see the differences. The most obvious change in the 6300->6400 is the much bigger ink capacity. Compare this with the iPF6300 I’m standing next to, further down the page, on the right. The 6450 also has an add-on spectrophotometer unit – this looks huge, and will certainly win no styling awards. 3rd Canon UK have sent us a Pro-1 to review. Please feel free to ask questions directly, or via the blog. It’s already listed at B&H if you’re curious. 25th September the 12th is suggested as an announcement date for new printers from Canon. The lack of a 5100 replacement in the list of LF printers suggests that we may see a 17″ version of the Pro-1. Canon announce iPFx400 printer range in Japan. 4th It’s pointed out that the new 8400 shares a name with the old W8400, but that printer has been retired quite some time. 11th Well – it seems that we -will- be seeing updates announced for the 24″ iPF6300 and 44″ iPF8300 in time for Photokina. Where this leaves the 17″ 5100, I’m not sure, but info does seem to be starting to surface. 10th There’s a new ‘bridge’ printer on its way, which should be avaialble in the Autumn. Expect an announcement before Photokina, though perhaps not at the upcoming Canon launch event on the 23rd. BTW that’s ‘Bridge’ as is a link between the small and large format printers – looks like the elderly iPF5100 at 17″ width is the place for it to fit? 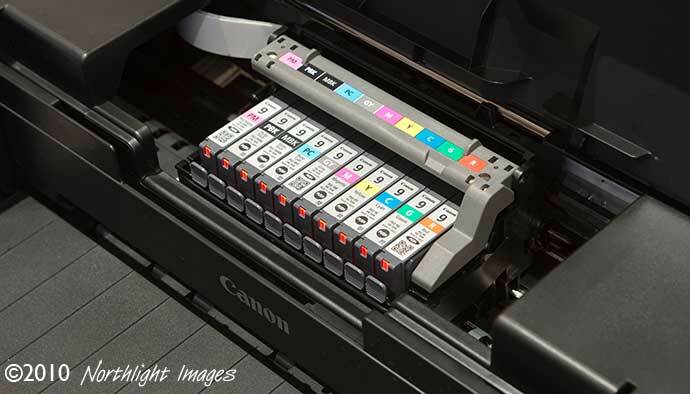 Have Canon finally noticed the amount of SP3880 17″ printers that Epson sells? (the excellent SP3880 has been seen below £900 in the UK) Or will we see something aimed much more at the SP4900 end of the market? 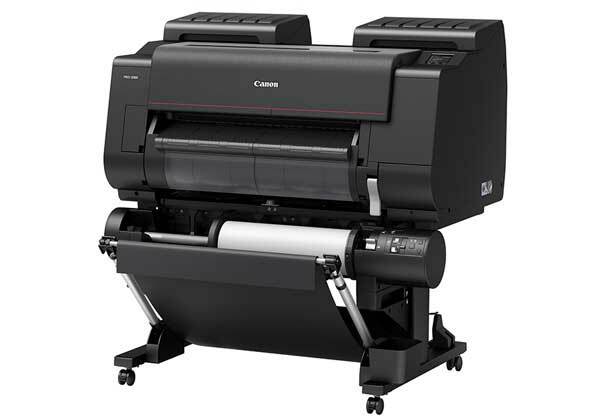 10th A suggestion that the Canon iPF5100 will not be replaced until later this year with the next in the PRO range. Canon are not at the FESPA show later this month. 28th We’re expecting to see built in spectrophotometers appear as an option in an upcoming refresh of Canon’s large format printer range. Not sure if we’ll see an x400 range, or if following history, we get x500 announcements of an iPF6500 and iPF8500. Perhaps this time an iPF5500 and iPF9500 will follow? The new 12 ink PRO-1 loses green and blue inks to gain one more grey and a gloss optimiser ‘overcoat’ clear ‘ink’ are these just for consumer printers or are we about to see the the numbers of inks in Large Format printers jump from 12 to 14? We’ve also had a suggestion of a 17″ model of the Pixma PRO-1 to directly compete with the Epson 3880 and its mooted successor. 16th The Canon iPF5100 is available from UK accredited LF dealers for under £1000 (exc VAT), but you need to ask for the deal. We hope to have a full review before too long. 28th The sighting of a Pixma and EOS logo on an invite for an event on the 26th has fuelled speculation that an A3+ Pixma Pro printer is to be announced. 12 inks are suggested, including a clear coat – presumably a form of gloss optimiser. This looks like an update for the 9000 and 9500 II range, or maybe an extension to it, such as the Epson R3000 not being a replacement for the R2880. Looking at the Canon range, down from the iPF8300 we have here, there is a distinct gap in the mid range. The iPF6100 (24″) was updated to the iPF6300, but the 17″ iPF5100 didn’t get the x300 makeover. There is no other 17″ offering, and nothing to really match the Epson 3880. 22nd There are also new rumours that the replacements for the A3 printers are not far off, not unlikely if you compare what Epson are offering in top end A3+ at the moment. We currently have an Epson R3000 here for review, and it does perhaps show the relative age of the 9500 II that we tested last year – a printer that was announced in March 2009. One reason we might not see it at this show is that it traditionally fits into the Canon LF print business, rather than part of the Pixma range. Is it time for Canon to bring out a 12 ink competitor to the Epson 3880 – a printer with a market segment all to itself? 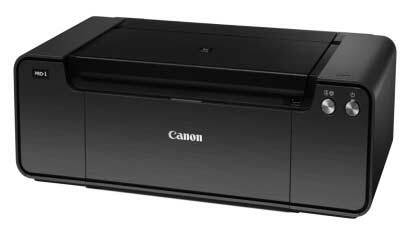 10th We get our Canon iPF8300 printer. 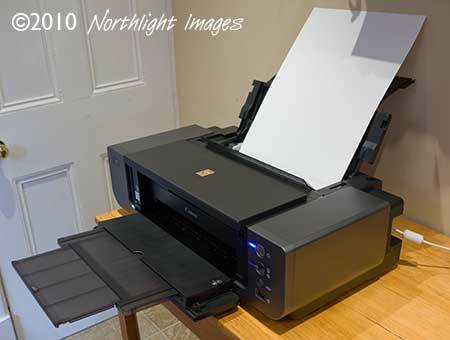 March Canon Pixma Pro9500 Mk II review A3+ 10 ink printer from Canon.